Sometimes, you just need to step out. Out into the open, far – or at least far enough – from home, and take with you nothing but your spirit of adventure. And a few sandwiches, maybe. 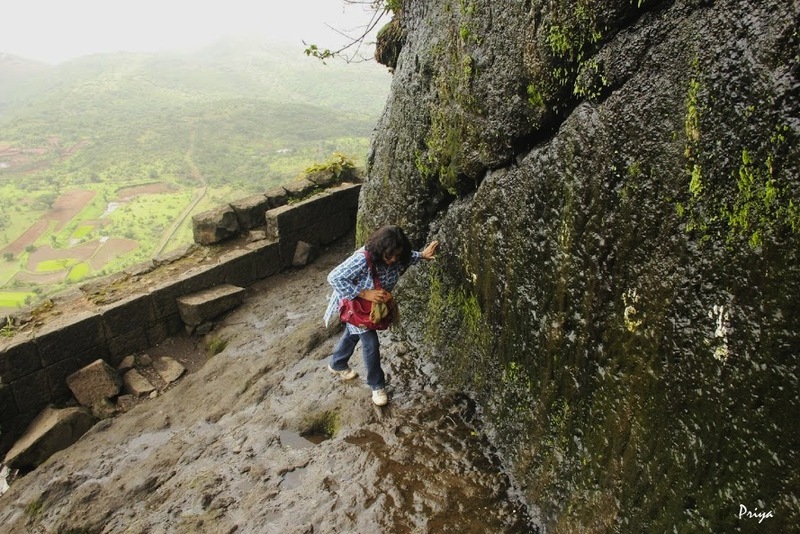 Earlier this week, my sister and I made for Lohagad. 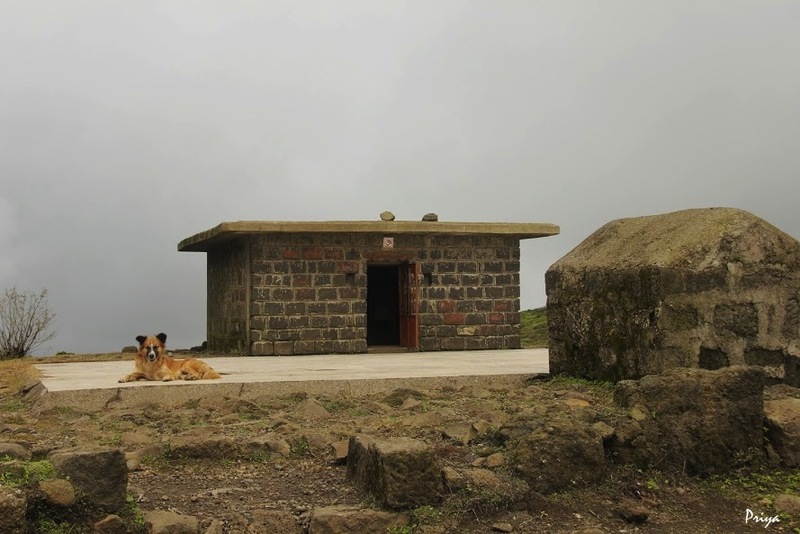 Being mid-week, the fort was devoid of the usual crowds that the Monsoons bring in. 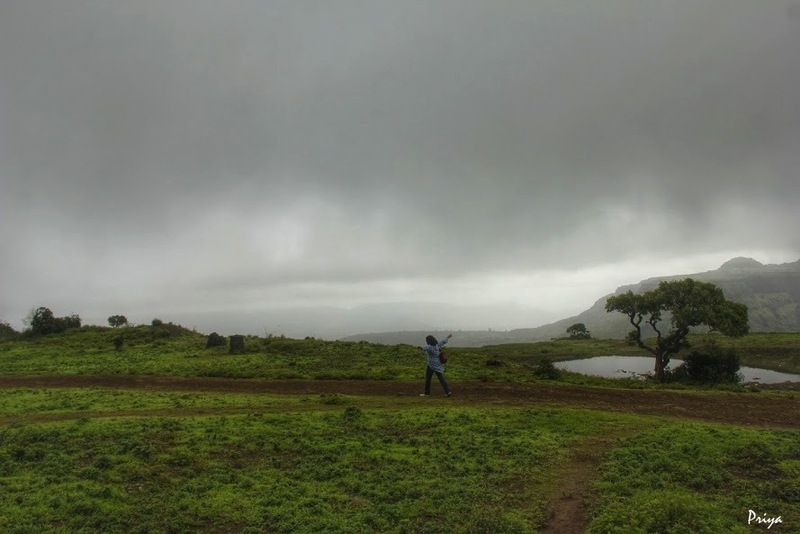 The weather was perfect too, with no sun and no rain, quite unlike the last time I had been there with friends. 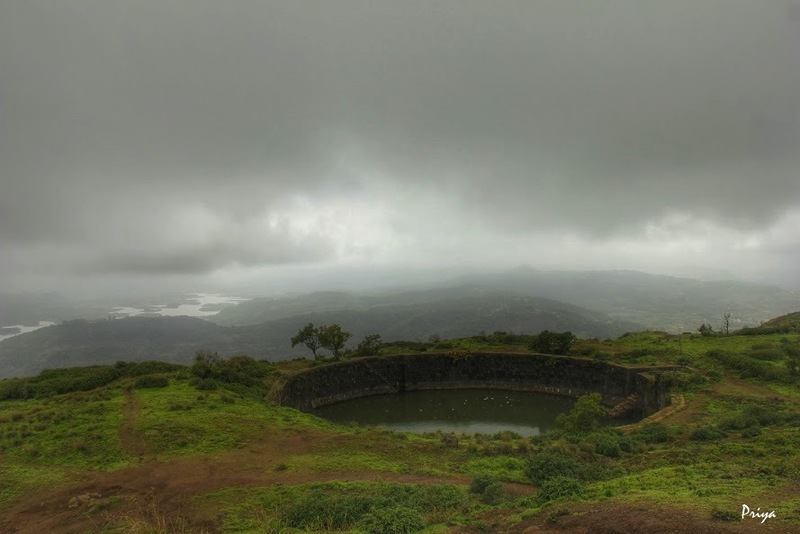 It had been pouring then, and the fort had been completely shrouded in a thick veil of white mist, reducing visibility to almost zero. 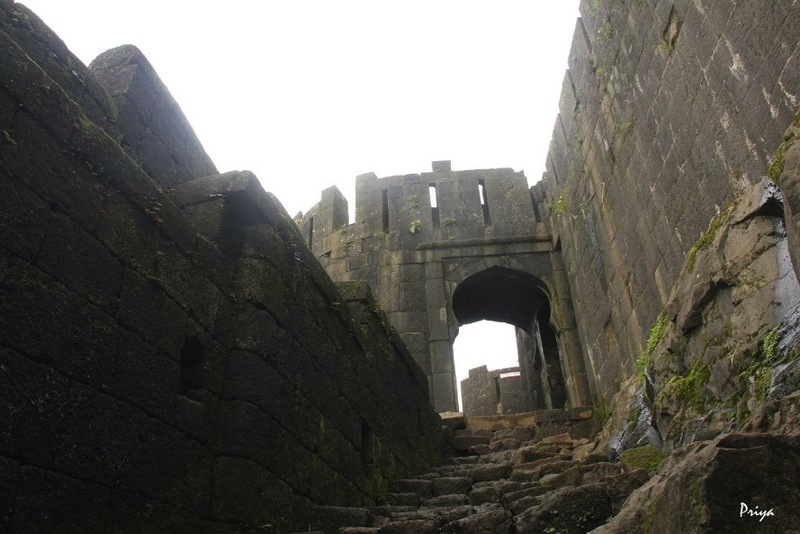 This time, I saw what the fort really looked like! 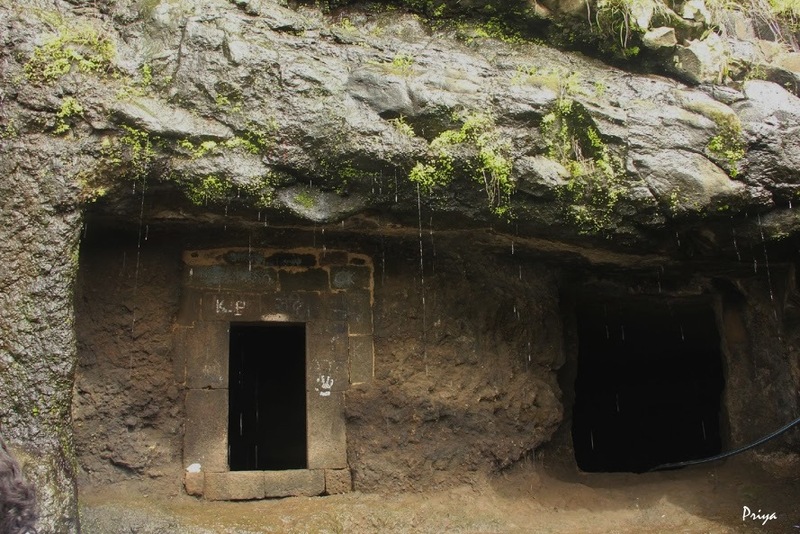 We drove to the fort via Malavli Village and the Bhaje Caves, along the newly constructed road. 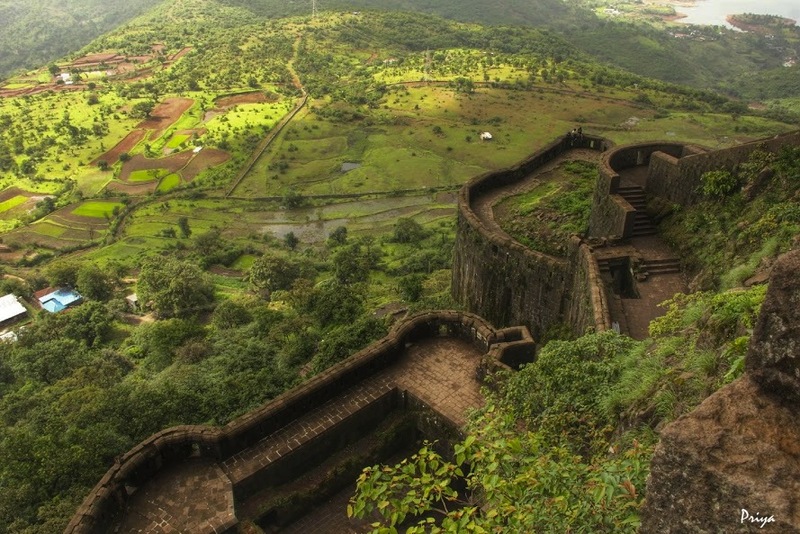 The fort loomed massive in the morning light. 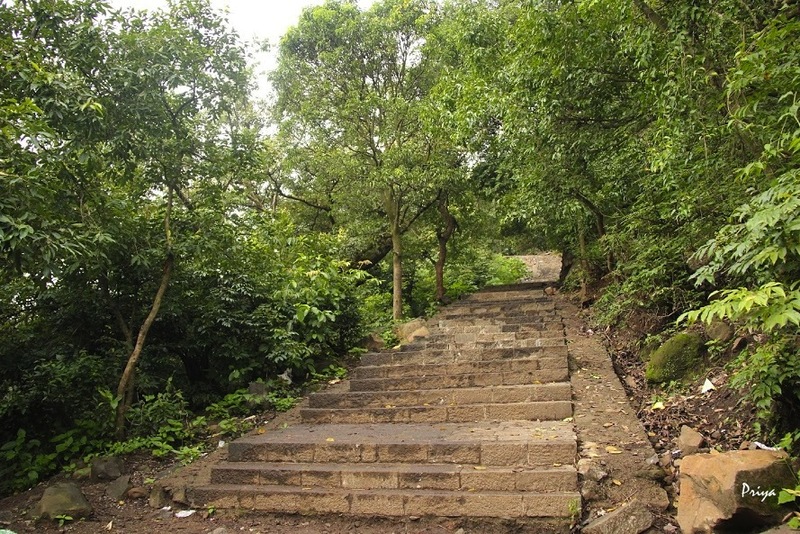 We trudged up the huge stone steps, stopping now and then to listen to the melodic whistling of the Malabar Whistling Thrush. 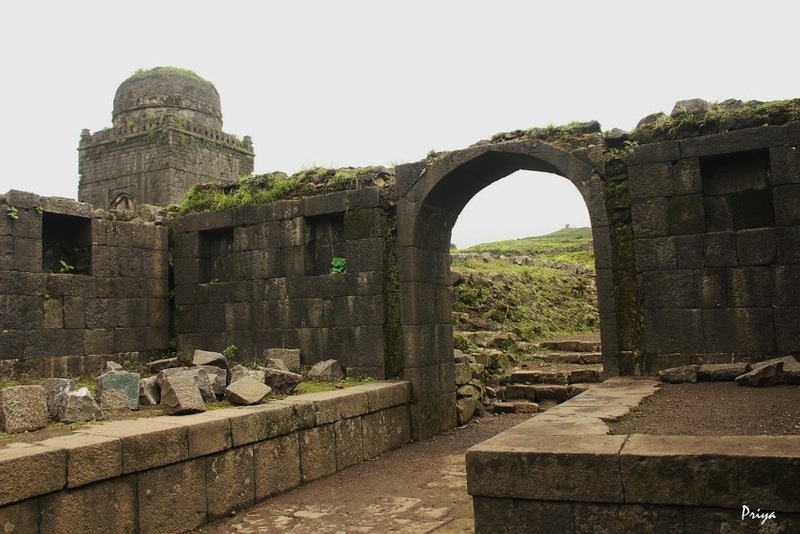 Standing at an elevation of 3,450 ft. on the Sahyadris, Lohagad has a long history that is tied to various dynasties. 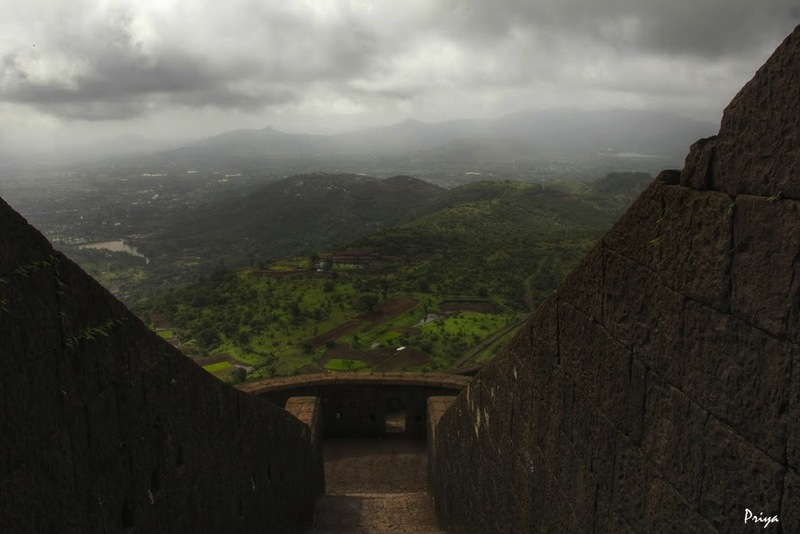 It was captured by Chhatrapati Shivaji Maharaj in 1648 AD, and later surrendered to the Mughals in 1665 AD in accordance with the Treaty of Purandar. 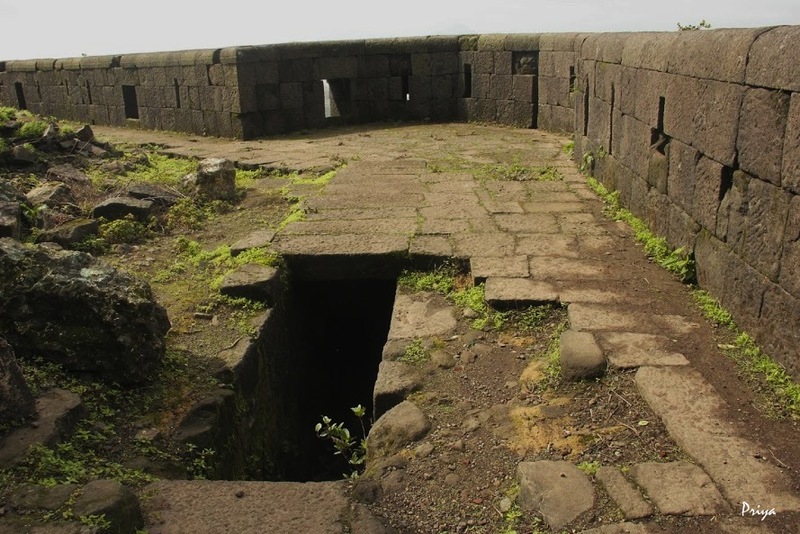 However, Shivaji recaptured it in 1670 AD following his daring escape from Agra. 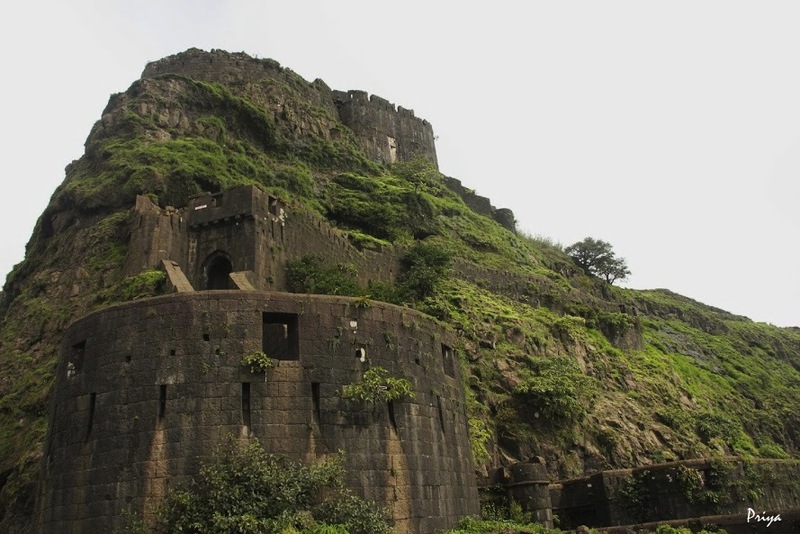 The British eventually took control of Lohagad and the neighbouring Visapur Fort in 1818 AD. 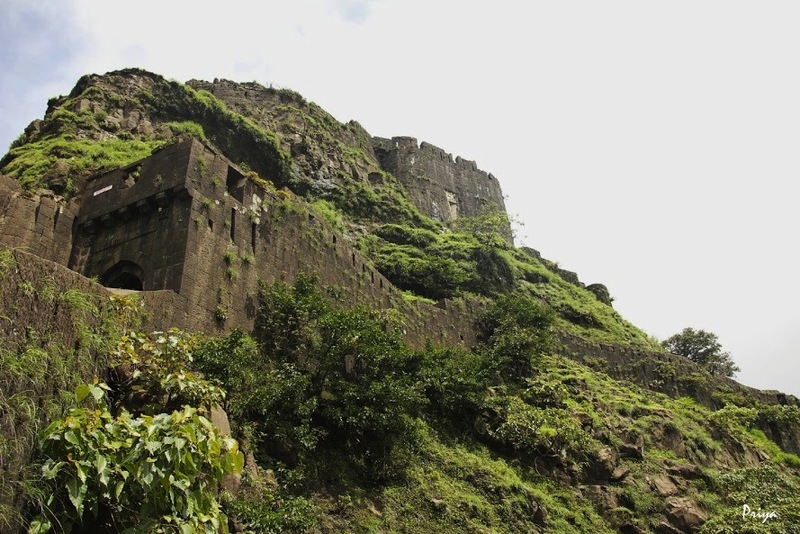 Lohagad displays remarkable fortification, through the natural, daunting slopes on which it is perched and its four massive gateways. 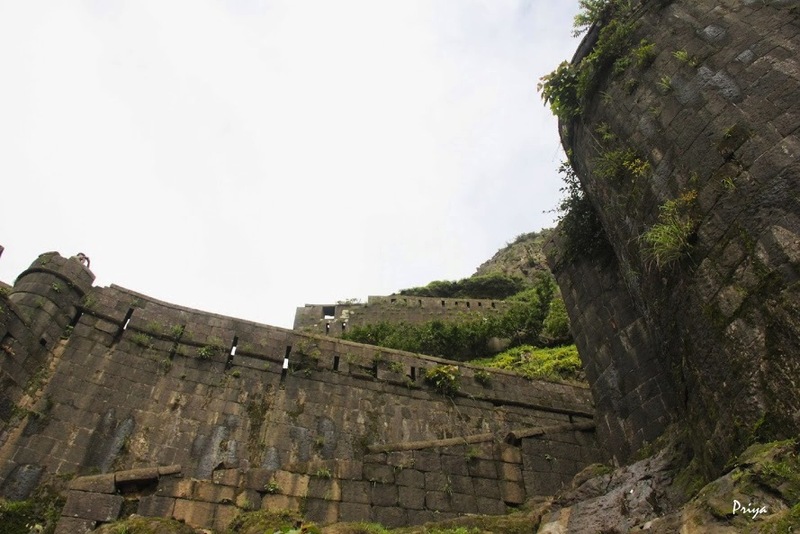 The fort holds two reservoirs and storage spaces for grain, to withstand a prolonged siege. 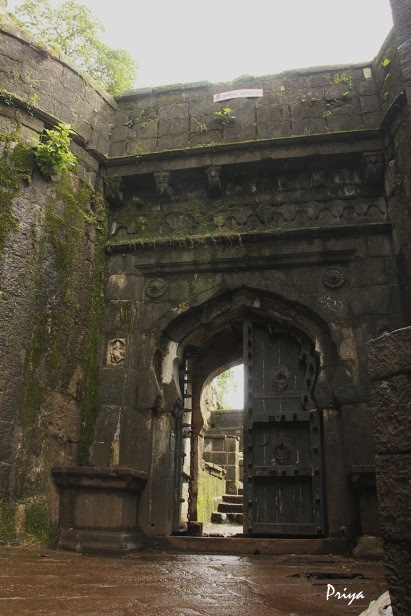 The first gate we entered was the Ganesh Darwaja. 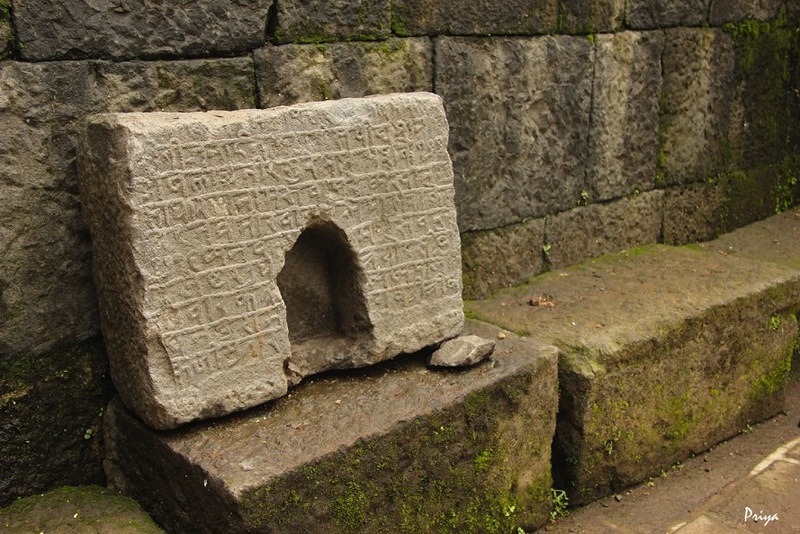 Inside, we found an inscription in stone. 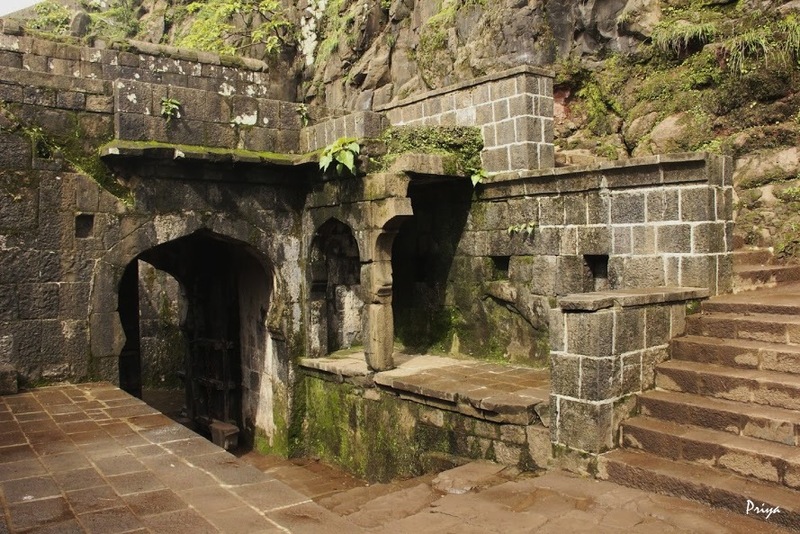 Further on, we discovered a mysterious passageway leading downwards. 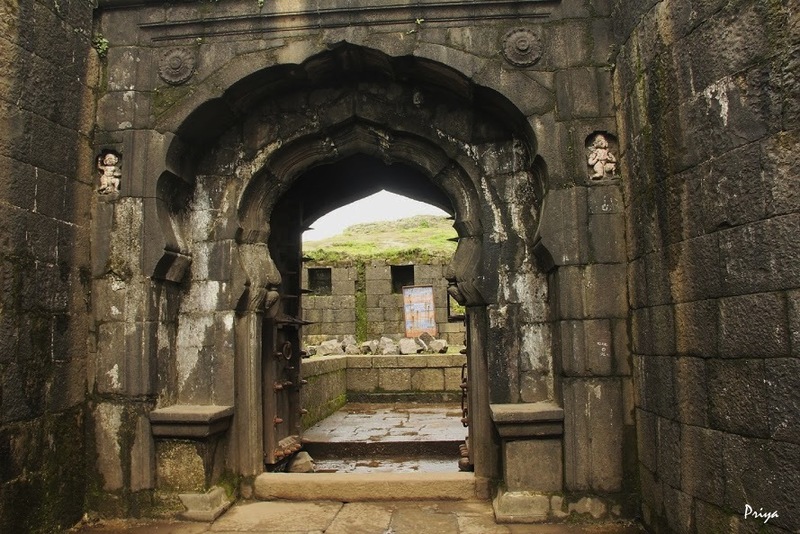 The Mahadarwaja is the main entrance to Lohagad. 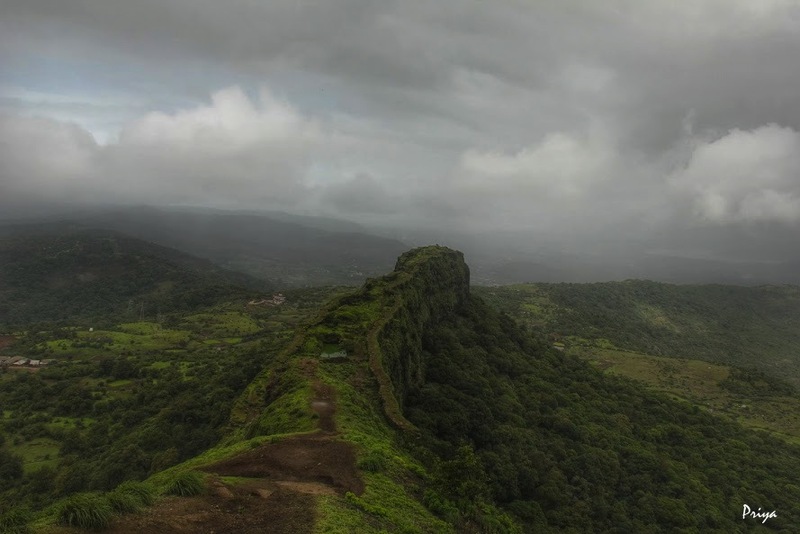 The view of the surrounding land from here was breathtaking! 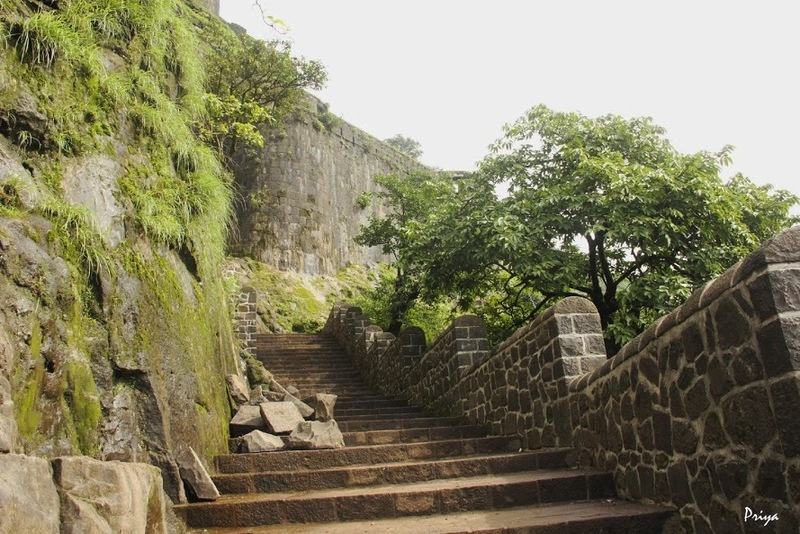 Climbing up the fort beyond the Mahadarwaja, we looked down to see the lower ramparts of the fort. Further up, we passed a few caves and some slippery sections where the steps had eroded to yield a somewhat smooth surface. 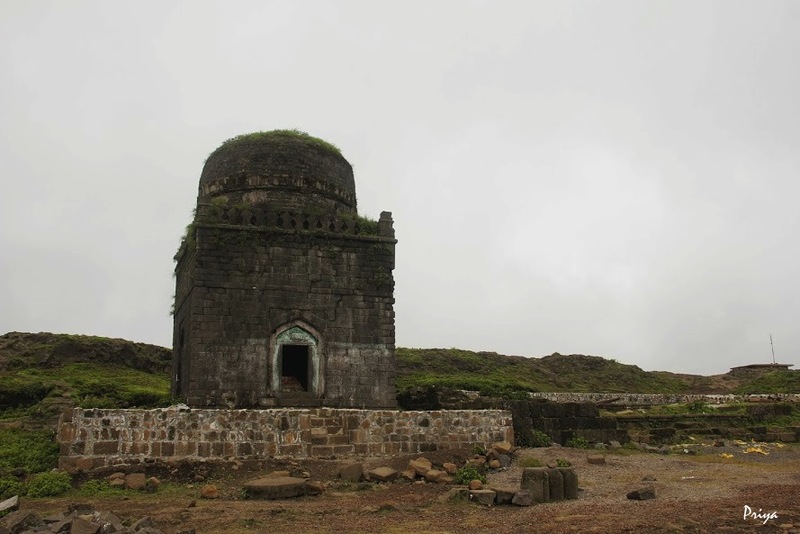 We finally made it to the top, passing the Narayan Darwaja and the Hanuman Darwaja. 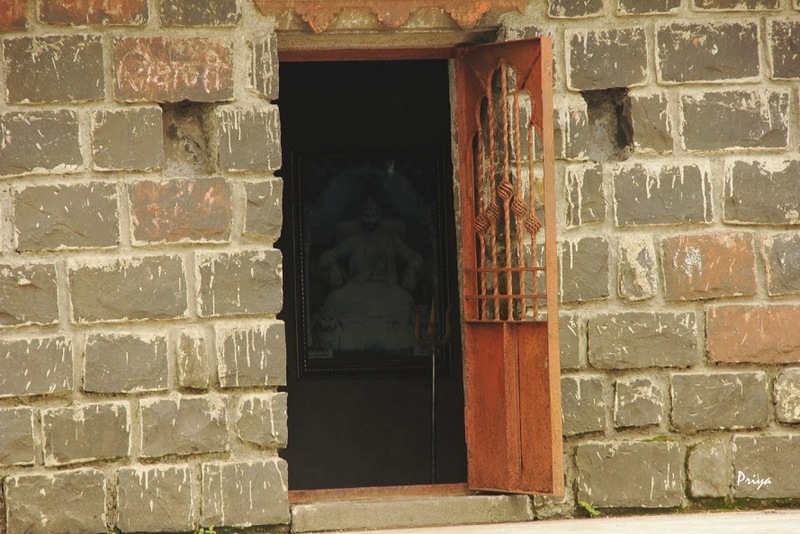 The first monument that we noticed within the fort was a dargah, and beyond it, a Shiva Temple with a picture of Shivaji Maharaj within its walls. 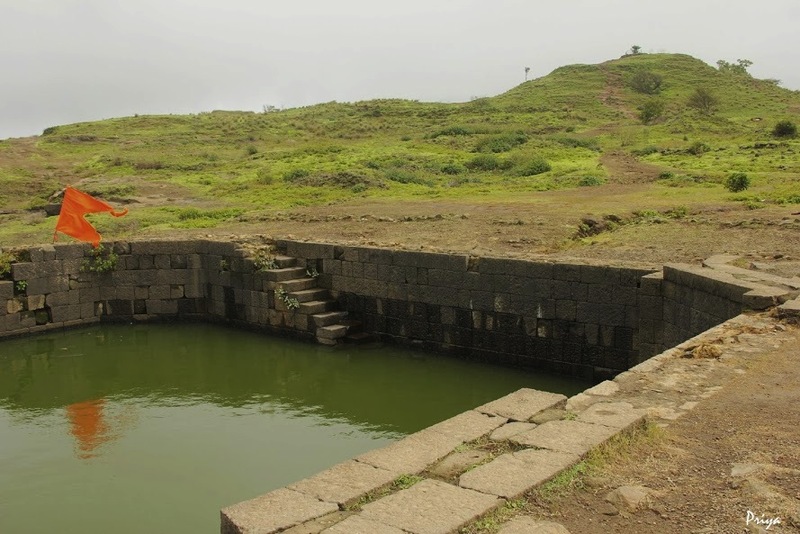 We walked on past the eight-sided water reservoir and sixteen-sided, almost circular pond before arriving at Lohagad’s famous vinchu kata or scorpion-tail fortification. 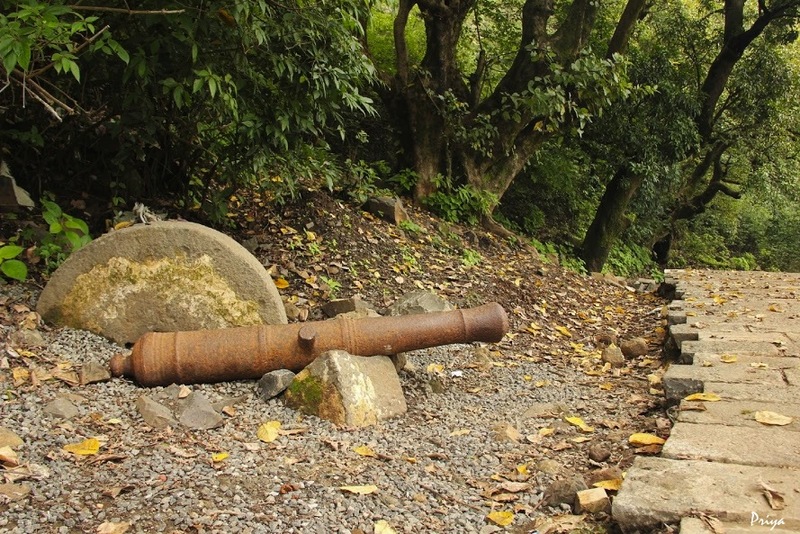 This was used as a strategic lookout point in ancient times. It’s a wonderful feeling, standing at the site where history was made, and walking the same paths as the legends. It’s also uplifting, being one with nature, and enjoying its myriad elements…a feeling best described as freedom. We clicked a few pictures to remember the day by, but the experience itself assured us that this journey would be unforgettable. A great blog, Priya!! Felt as if I visited it in person…..The pictures are breathtaking as usual.